Hartford, Conn. (AP) – A Connecticut lawmaker wants to strike climate change from state science standards. A Virginia legislator worries teachers are indoctrinating students with their personal views on global warming. And an Oklahoma state senator wants educators to be able to introduce alternative viewpoints without fear of losing their jobs. As climate change becomes a hotter topic in American classrooms, politicians around the country are pushing back against the near-universal scientific consensus that global warming is real, dire and man-made. Of the more than a dozen such measures proposed so far this year, some already have failed. But they have emerged this year in growing numbers, many of them inspired or directly encouraged by a pair of advocacy groups, the Discovery Institute and the Heartland Institute. “You have to present two sides of the argument and allow the kids to deliberate,” said Republican state Sen. David Bullard of Oklahoma, a former high school geography teacher whose bill, based on model legislation from the Discovery Institute, ran into opposition from science teachers and went nowhere. Scientists and science education organizations have blasted such proposals for sowing confusion and doubt on a topic of global urgency. They reject the notion that there are “two sides” to the issue. “You can’t talk about two sides when the other side doesn’t have a foot in reality,” said University of Illinois climate scientist Donald Wuebbles. 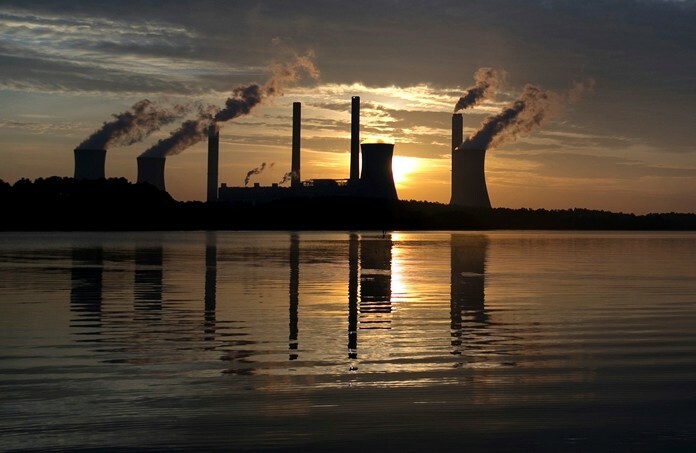 Michael Mann, director of the Earth System Science Center at Penn State University, said these legislative proposals are dangerous, bad-faith efforts to undermine scientific findings that the fossil-fuel industry or fundamentalist religious groups don’t want to hear. In the mainstream scientific community, there is little disagreement about the basics that greenhouse gases from the burning of coal, oil and gas are causing the world to warm in a dangerous manner. More than 90 percent of the peer-reviewed studies and scientists who write them say climate change is a human-caused problem. The battle over global warming resembles the fight that began decades ago over the teaching of evolution, in which opponents led by conservative Christians have long called for schools to present what they consider both sides of the issue. Some of those who reject mainstream climate science have cast the debate as a matter of academic freedom. James Taylor, a senior fellow at Heartland, an Illinois-based group that dismisses climate change, said it is encouraging well-rounded classroom discussions on the topic. The group, which in 2017 sent thousands of science teachers copies of a book titled “Why Scientists Disagree About Global Warming,” is now taking its message directly to students. A reference book it is planning for publication this year will rebut arguments linking climate change to hurricanes, tornadoes and other extreme weather. “We’re very concerned the global warming propaganda efforts have encouraged students to not engage in research and critical thinking,” Taylor said, referring to news reports and scientific warnings. Neither Discovery nor Heartland discloses the identities of its donors. Instruction on the topic varies widely from place to place, but climate change and how humans are altering the planet are core topics emphasized in the Next Generation Science Standards, developed by a group of states. Nineteen states and the District of Columbia have adopted the standards, and 21 others have embraced some of the material with modifications. By early February, the Oakland, California-based nonprofit National Center for Science Education flagged over a dozen bills this year as threats to the integrity of science education, more than the organization typically sees in an entire year. Several of them – including proposals in Oklahoma, North Dakota and South Dakota – had language echoing model legislation of the Seattle-based Discovery Institute, which says teachers should not be prohibited from addressing strengths and weaknesses of concepts such as evolution and global warming. Similar measures became law in Louisiana in 2008 and Tennessee in 2012. In states where they may not be feasible politically, Discovery has urged legislators to consider nonbinding resolutions in support of giving teachers latitude to “show support for critical thinking” on controversial topics. Lawmakers in Alabama and Indiana passed such resolutions in 2017. Discovery officials did not respond to requests for comment. Florida state Sen. Dennis Baxley is pressing legislation that would allow schools to teach alternatives to controversial theories. “There is really no established science on most things, you’ll find,” the GOP legislator said. Other bills introduced this year in such states as Virginia, Arizona and Maine call for teachers to avoid political or ideological indoctrination of their students. “If they’re teaching about a subject, such as climate change, and they present both sides, that’s fine. That’s as it should be. A teacher who presents a skewed extension of their political beliefs, that’s closer to indoctrinating. That’s not good to kids,” said Virginia state Rep. Dave LaRock, a Republican. While there are many details about climate science hotly debated among scientists, it is well-established that global warming is real, human-caused and a problem, said scientist Chris Field, director of the Stanford Woods Institute for the Environment. “When people say we ought to present two sides, they’re saying we ought to present a side that’s totally been disproven along with a side that has been fundamentally supported by the evidence,” Field said.